Leonard "Len" Stilo, age 92, of Apex, North Carolina, formally of South Plainfield, NJ, passed away Tuesday October 24, 2017 at Brittany Place of Searstone Retirement Community. Mr. Stilo was born on September 30th, 1925 in Perth Amboy, NJ and was the son of the late Dominic Stilo and Julia DeFillipo Stilo. Len was raised in South Plainfield, NJ where he graduated from North Plainfield High School in 1943. He was a veteran of the US Navy and received his master degree at Franklin & Marshall College, Lancaster, PA. He went on to become the English department chairman and teacher at Bridgewater West High School in NJ, retiring with 30 years of service. 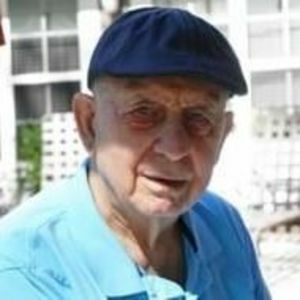 In addition to South Plainfield, Len was a resident of Tewksbury Township, NJ for 29 years; Long Beach Island, NJ for 11 years; Apex and Cary, NC for 9 years. Len was preceded in death by his wife of 65 years, Virginia (Ginny) T. Stilo and is survived by his sister Theresa Matteis and brother Donald Stilo; two daughters, Claire Cantwell and her husband Douglas of Apex, NC; Andrea Daniels and her husband Heinz of Holly Springs, NC; five grandchildren and seven great-grandchildren. A Private Cremation Ceremony has taken place and a Celebration of Life will be held at 3:30 PM on Friday, November 10, 2017 at Searstone Ballroom, 17001 Searstone Dr., Cary, NC 27513.